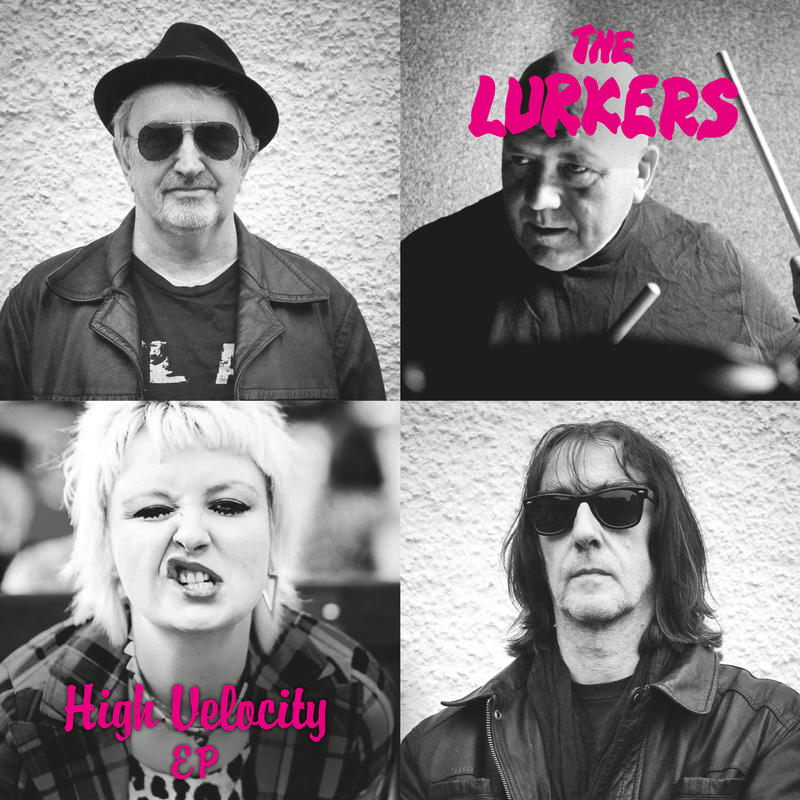 DAMGOOD491 – LURKERS – HIGH VELOCITY E.P. The Lurkers formed late in 1976, the original line-up consisting in Pete Stride on Guitar, Pete “Manic Esso” Haynes on drums, Pete “Plug” Edwards on vocals and Nigel Moore on bass. Edwards was replaced by Howard Wall after a few rehearsals, with him becoming the band’s road manager. Stride was the band’s main songwriter. The band played their first gig at Uxbridge Technical College in December supporting Screaming Lord Sutch to an audience of 10. 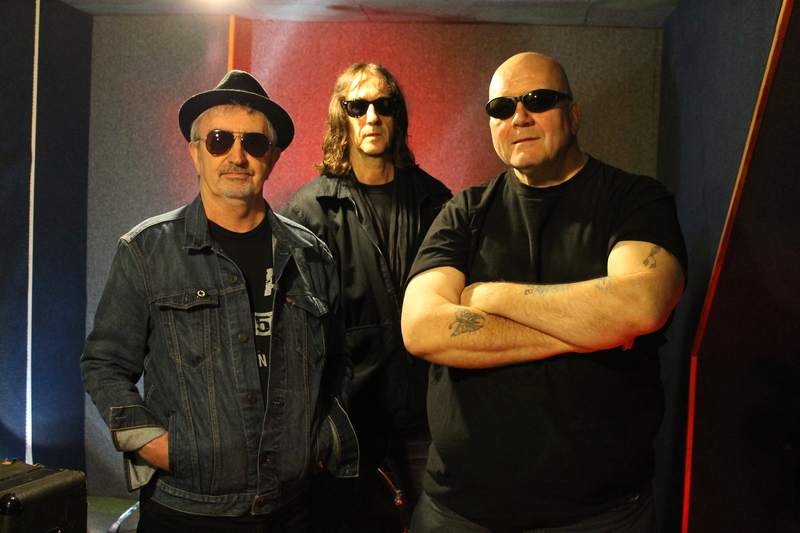 The band were one of the early punk bands that played live in the first few months of the Roxy Club in London. Nigel was swiftly replaced by Arturo Bassick. They supported The Jam in February 1977, Eater in March, and Slaughter & The Dogs in April. 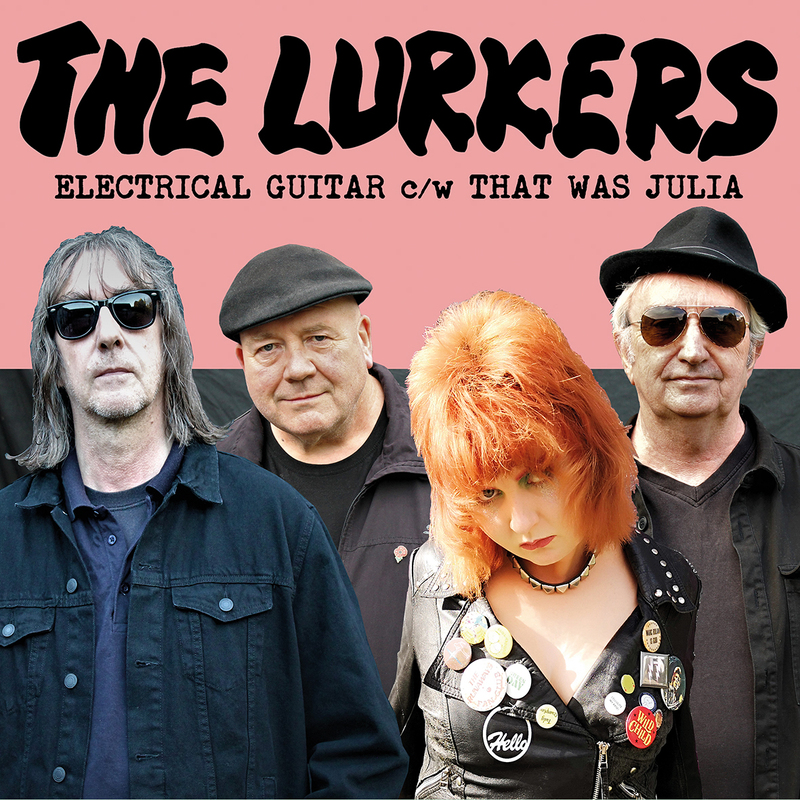 T he Lurkers recorded four sessions at Maida Vale 4 studio for John Peel at BBC Radio 1, on 18/10/1977, 18/04/1978, 25/07/1978, and 24/01/1979. 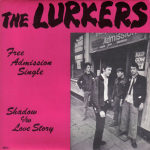 Their debut single “Shadow”, the first release on Beggars Banquet Records, was voted by John Peel’s listeners as twelfth best track of the year in 1977’s Festive Fifty. 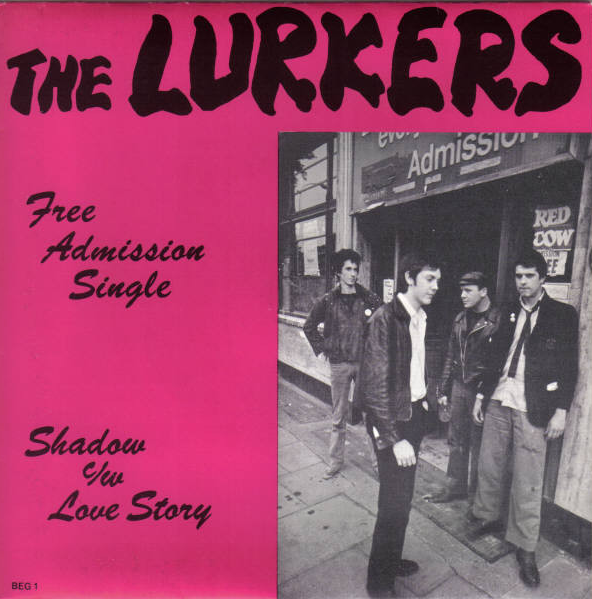 with “Love Story”, the B-side, at number 31. Bassick left the band after this first single, and was replaced by former Saints member Kym Bradshaw, who left before the recording of the third single, 1978’s “Ain’t Got a Clue”/”Ooh, Ooh I Love You” which saw the return of Nigel Moore to the band. That single was their biggest hit, reaching No. 45 on the UK singles chart. The following month, the band’s debut album, Fulham Fallout, reached No. 57 on the UK albums chart. One reviewer described it as “by far their best with production that really makes the guitar kick. 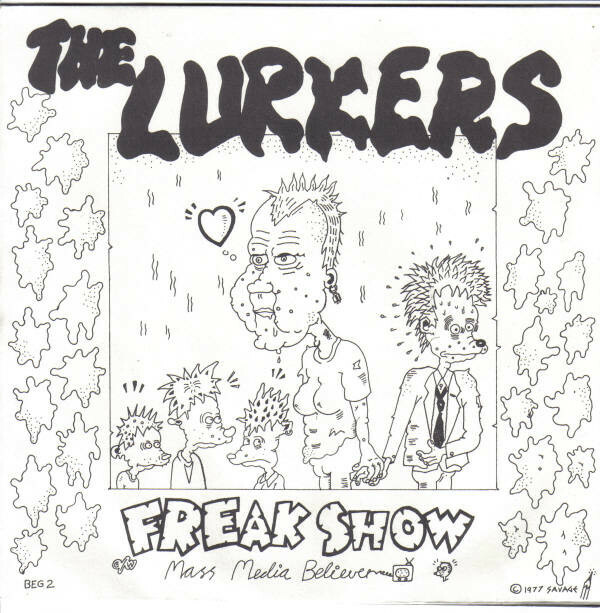 It’s sloppy and amateurish, but that’s what makes it so great.” “Be My Prisoner”, a song from the album, also appeared on Streets, a 1977 compilation album of early UK punk bands from a variety of independent record labels. In January 1979, The Lurkers’ fifth single, “Just Thirteen”, was released, and in 2001 it was included in Mojo magazine’s list of the best punk rock singles of all time. 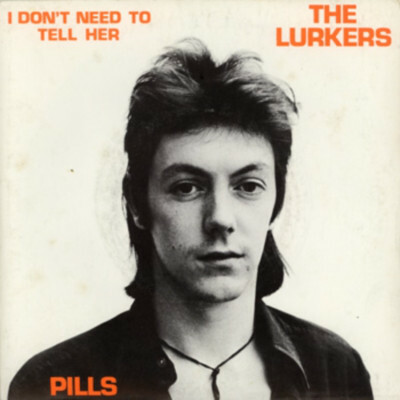 A month after the release of this single, The Lurkers’ track “I’m on Heat” appeared, alongside songs by more famous bands like The Jam and The Stranglers, on the punk compilation 20 of Another Kind (Polydor, POLS 1006). The album reached number 45 in the UK charts. 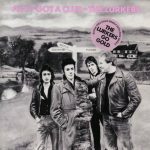 Another of the band’s tracks, “Out in the Dark”, appeared on the follow-up 20 of Another Kind Volume 2. The band’s second album was not as well received, critically or commercially, as their debut, and the band split for a few years. 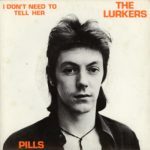 Pete Stride collaborated with ‘Honest’ John Plain (of English punk band the Boys) and released an album in January 1980. In 1982, Stride re-formed the Lurkers. They signed for Stoke-on-Trent-based label Clay Records, for whom they released four singles and one album. The band broke up again in 1984. In the years since, they have reunited with various members numerous times, and continue to record and perform around the world to this day, although its really just Arturo and some of his mates. Their legacy, however, is primarily based on their late 1970s output. “Shadow”, “Ain’t Got a Clue”, and “Just Thirteen” in particular are cited by punk cognoscenti as classic examples of the style, and still show up from time to time on genre overview compilations. The current line-up is: Bassick (bass and vocals) who also plays for 999, Steve Straughan (guitar), and Nelly (drums), ex Hangups and Fiend. In January 2009 the band supported punk legends the Buzzcocks on fourteen dates of their UK tour. 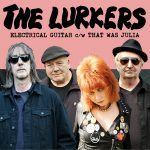 In the 2010s, Esso, Stride and Moore are jamming again under the name of The Lurkers:God’s Lonely Men and released a CD in 2012 entitled Chemical Landslide which contained tracks considered a lot heavier than anything they had previously recorded under the Lurkers name. In 2016 they released a further album The Future’s Calling and collaborated on follow-up material with The Featherz‘ lead singer Danie Cox. The ‘HIGH VELOCITY E.P. was released on HUMAN PUNK/DAMAGED GOODS on the 24th November 2017, a three track pink vinyl 7″ limited to 500 copies. We have another 7″ coming out on the 25th January 2019 called ‘Electrical Guitar‘, a 2 track single which also features Danie as guest vocalist.